Britton Jones, Chairman of the Connecticut based Food Rescue US, announced today that Carol Shattuck has assumed the position of Chief Executive Officer. A Board member since 2015, Ms. Shattuck brings many years of non-profit senior leadership experience to Food Rescue US. She replaces Kevin Mullins, co-founder of Food Rescue US, who will now focus his time as a champion of the organization and as an activist for hunger relief. Carol Shattuck spent thirteen years at AmeriCares, based in Stamford, CT, where she held senior leadership positions including Chief of Staff. 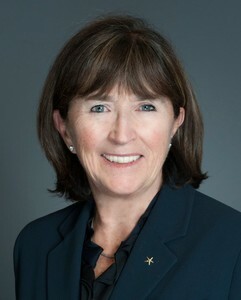 Most recently she served as Chief Operating Officer of the U.S. Organizing Committee of the 2016 Invictus Games, founded by HRH Prince Harry, in Orlando, Florida. Food Rescue US was founded in 2011 to alleviate hunger and food waste in America. Since then, the Fairfield County operation, the first and largest for Food Rescue US, has rescued and delivered nearly 17 million meals to local shelters, food pantries and other agencies feeding the hungry. Nationally the organization has delivered 26 million fresh, nutritious meals, valued at $60 million; this translates to saving 38.1 million pounds of food from landfill. Food Rescue US is currently located in 17 locations (in fourteen states) around the country, with a goal to reach all 50 states in the next 3-5 years.